But here’s my concern: while I think everyone understands that doing nothing is not an option, I am concerned that some people think we can wait another year, or longer, to tackle the big, tough issues. Let me be clear about this: we can’t wait. If we wait, we are consigning too many of our children to another year in which they will continue to fall behind their peers. The farther behind they fall, the less likely they are ever to catch up. And if they don’t catch up, well, we all know their chances of building a good life for themselves are slim. Why would we allow that to occur? We can’t wait to take on reforms that some of our neighbors implemented nearly 10 years ago, reforms that have led their graduation rates to improve while ours continues to decline. We can’t wait to implement an evaluation system that will make sure the good teachers in our system have peers that are their equal. If I seem impatient, it’s because I am. I see kids almost every day who know I know we’re failing because we’re sending them to broken parts of our school system. It’s got to stop. Connecticut Gov. 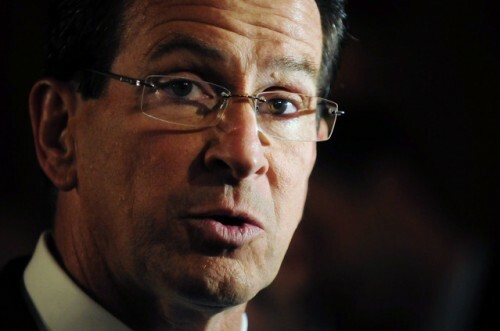 Dan Malloy, apparently getting Dropout Nation‘s memo about standing up and battling against the efforts of legislators to all but cave in to education traditionalists who want to continue practices that fail far too many kids in that state — and across America.